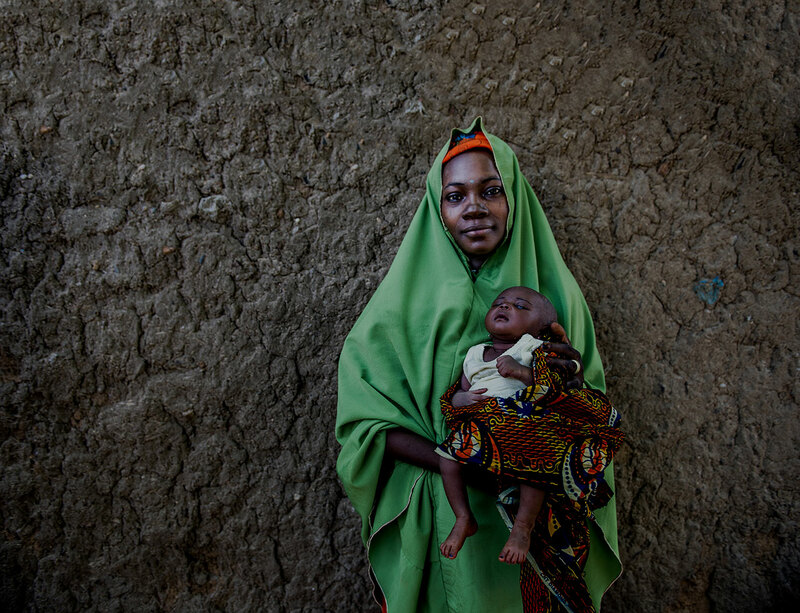 Efforts to improve health care provider performance in low- and middle-income countries (LMICs) extend beyond isolated in-service training and traditional supervision methodologies to include additional approaches such as mentoring. 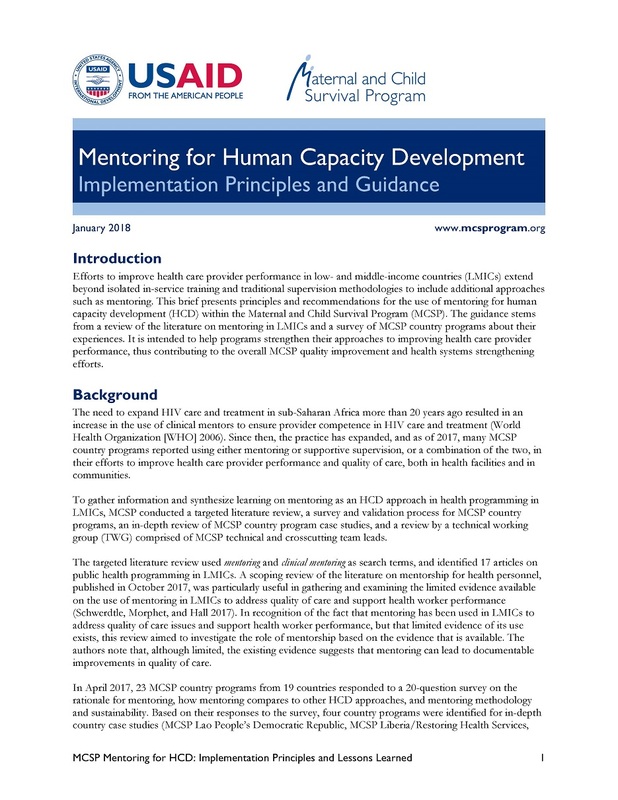 This brief presents principles and recommendations for the use of mentoring for human capacity development (HCD) within the MCSP. The guidance stems from a review of the literature on mentoring in LMICs and a survey of MCSP country programs about their experiences. It is intended to help programs strengthen their approaches to improving health care provider performance, thus contributing to the overall MCSP quality improvement and health systems strengthening efforts.